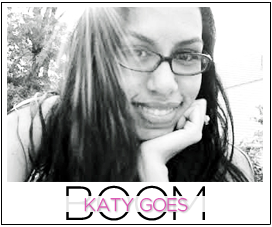 Katy Goes Boom: Does your life have a soundtrack? 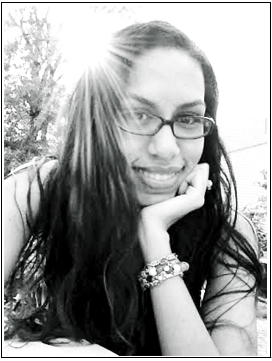 This weeks Sunday Social Link up is all about MUSIC!!! Which is great for me because I'm always singing or listening to music of some sort. When I first went away to school I was a vocal performance music minor. Anytime the radio is on I sing along....and it drives my mother nuts. Both of these songs make me remember middle school and early highschool, watching movies like Cruel Intentions and thinking my life was so troubled and angsty. 2. What is your favorite singer or band? Maroon 5 hands down. Adam Levine can do no wrong. Ever. He is my white boy husband. I went to go see them live last year, and it was AMAZING!! 3. What is your theme song/song that best describes your life? Right now? I'd have to say Wide Awake by Katy Perry. I feel like I'm at a point where I have a lot of clarity, even if it did hurt to fall and wake up on the concrete. I Love Your Smile by Shanice. My Dad used to sing it to me when I was little and anytime I hear it, it puts a smile on my face. 5. What is your favorite road-trip music? Anything with a good beat that will keep me awake, sometimes its N.E.R.D, other times its Britney Spears. When I get tired of my CDs though, its usually the local country stations that get a listen. Last time we drove down to Tennessee, I really impressed Boomer with my car cover of Gretchen Wilson's Redneck Woman. It was boss. 6. What song are you embarrassed to admit you love? Call me Maybe by Carly Rae Jepsen. I mean in all honesty it's probably one of the most annoying bubble gum songs out right now. And who even calls people anymore? I guess is would be less catchy if she was singing text me maybe. I love The Verve! Great choice! Eek, Whitney - I think I could have written this post! I LOVE Bittersweet Symphony and Wonderwall!!!! Also used to go bananas for that Shanice song too - what good memories. oh i love this post because i LOVE music too. i'm recently breaking out and trying some new stuff too. I have to agree....Maroon 5 is a fav though. Heard "Sunday Morning" for the first time in a long time the other day....classic!